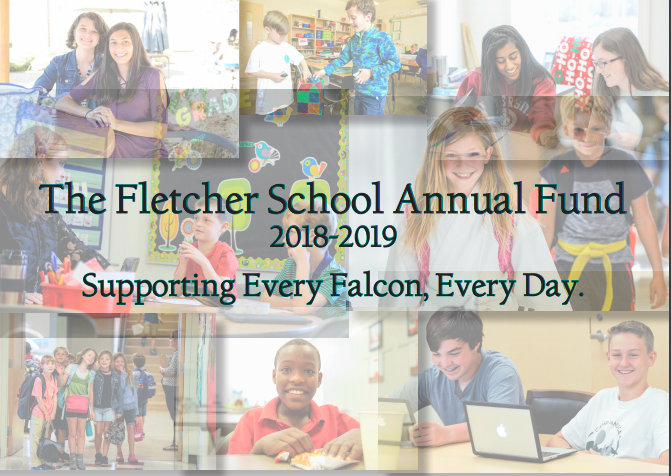 The easiest and most impactful way to support The Fletcher School is through our Annual Fund. It is the first and most important gift we ask of parents, grandparents, alumni, former families, faculty and staff, trustees, and friends. From our stellar faculty to our state-of-the-art technology, we simply could not do it without our generous Annual Fund donors. The Annual Fund serves as the most critical fundraising effort of the year. As is the case in most independent schools, tuition does not fully cover the cost of providing the kind of educational experience students receive at The Fletcher School. The Annual Fund helps to bridge a 5% gap in tuition revenue and operating expenses. Gifts to the Annual Fund are 100% tax deductible and provide immediate, unrestricted support of the school’s operating budget. Annual Fund donors may choose to designate their gift to a particular area of the School’s operations that they find most meaningful. Where can you direct your Annual Fund gift? This "Family of Funds" supports our students and faculty in the current academic year through the School's operating budget. Should designated contributions exceed a designations' budgeted need, the School will direct contributions to the are of greatest need. Gifts to the Annual Fund have a direct and tangible impact on the daily experiences of our students. Only with your support can The Fletcher School continue to enable students with learning differences to reach their full potential! To learn more about the Annual Fund, visit our Frequently Asked Questions page, or contact Lindsey Mann Field, Director of Advancement at 704-365-4658 or via email.